Bangui (Agenzia Fides) - Today, February 5, the peace agreement reached on February 2 in Khartoum, in the Sudanese capital, by the Government of the Central African Republic and by 14 armed groups that control the majority of the Central African territory has been signed. Until the last minute, no details of the content of the agreement had yet been released, and where the signature would be held, in Khartoum or Bangui was not specified, but the Central African government and presidency had previously indicated that it would take place in Bangui "in the next days". Negotiations in Khartoum, started on January 25 at the initiative of the African Union and the UN, brought together the main leaders of the armed groups and an important government delegation. 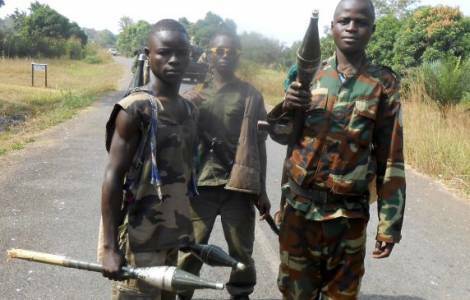 The Central African Republic, which has a population of 4.5 million, has been in a state of war since 2013. Since then, no less than seven peace agreements have been signed in five years, none of which have led to a return to stability.